Arik C. Hanson is the principal of ACH Communications, a marketing and communications consultancy that has been driving business results for clients since 2008. With more than 20 years’ experience in traditional and digital marketing, communications and public relations, Arik brings seasoned, strategic expertise to help today’s leading organizations, including Fortune 500 companies like Select Comfort, Walgreens, General Mills, Toro, Cargill and Ingersoll Rand, define and deliver on their marketing and communications goals through the right mix of tools and strategies. Arik helps clients understand the latest trends and technologies in digital and social media, providing a unique perspective that allows clients to cut through the noise and achieve real business results. Within the marketing and PR community, Arik is known as a leading blogger, podcaster, lecturer, and founder of several popular events, conferences and social media initiatives. Arik’s blog, Talking Points (formerly Communications Conversations), has been in publication for more 10 years and recognized by industry outlets like PRWeb and PRWeek as one of today’s leading digital marketing and PR blogs. His posts are frequently syndicated on popular sites like PR Daily, Social Media Today, Business Insider and Ragan.com. 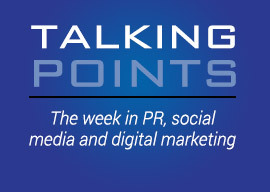 Arik is the co-founder of The Talking Points Podcast, a monthly discussion about the latest trends and issues in digital and social media marketing. Arik has also delivered industry news and advice to inboxes around the world each week for the last six-plus years, providing his free Talking Points e-newsletter to more than 1,200 (and growing) readers. In addition, Arik created and runs two “mastermind groups” comprised of digital marketing, social and communications leaders at Minnesota’s largest companies; Arik’s mastermind groups come together to discuss trends, share expertise and test out ideas among fellow marketing and PR colleagues. Arik has served on the board of directors for multiple nonprofits and actively volunteers with local organizations including MIMA, Public Relations Society of America, Children’s Hospitals & Clinics, Bolder Options and his alma mater, Winona State University. 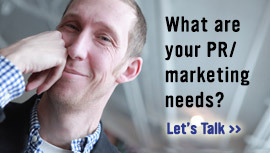 He has also founded, and co-founded, many events and conferences over the years, including the Minnesota Blogger Conference, BlogWorld, PR Reader’s Choice Blog Awards and a number of social media initiatives like Help a PR Pro Out, Journchat Live, HealthCamp Minnesota and more. Arik serves as a strategic guide and mentor to many professionals in digital marketing and PR, and invests significant time to helping the next generation grow into their potential and take the torch forward for future marketing and PR professionals.